Spacious family home nestled on a very private .54 Acre property just 5 minutes to Madeira Park for shopping, doctors office and restaurants. Walk up the road and you are directly at the entrance to Francis Point Marine Park for an easy peaceful walk amongst tall trees, spectacular ocean and marine life. This home is the perfect set up for a young or growing family with 3 bedrooms upstairs and a large rec room & bedroom for the teenagers downstairs. Large kitchen offers plenty of storage and prep space and opens up to a light and bright solarium perfect for a place to just relax or it would make a great artists space. Massive decks wrap around the back and side of the home leading out to the gorgeous gardens. 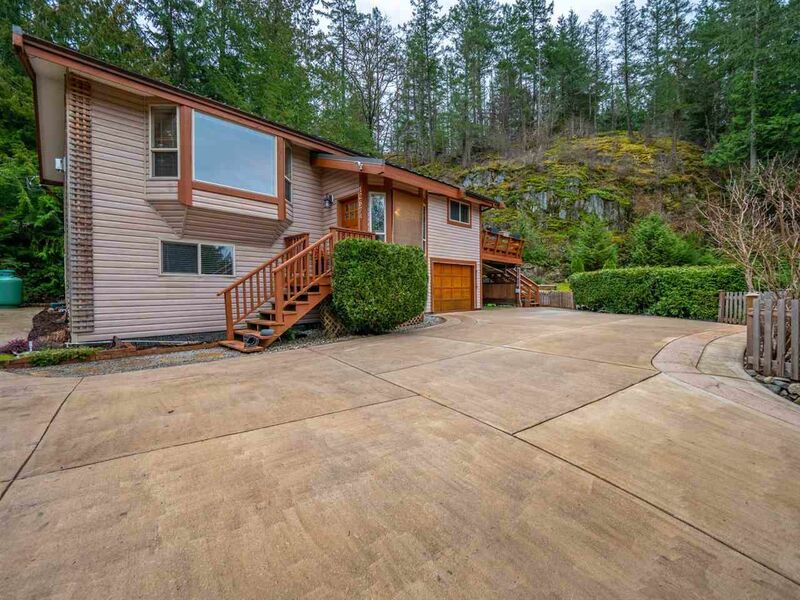 Ample stamped concrete parking for boats or RV's complete this package.